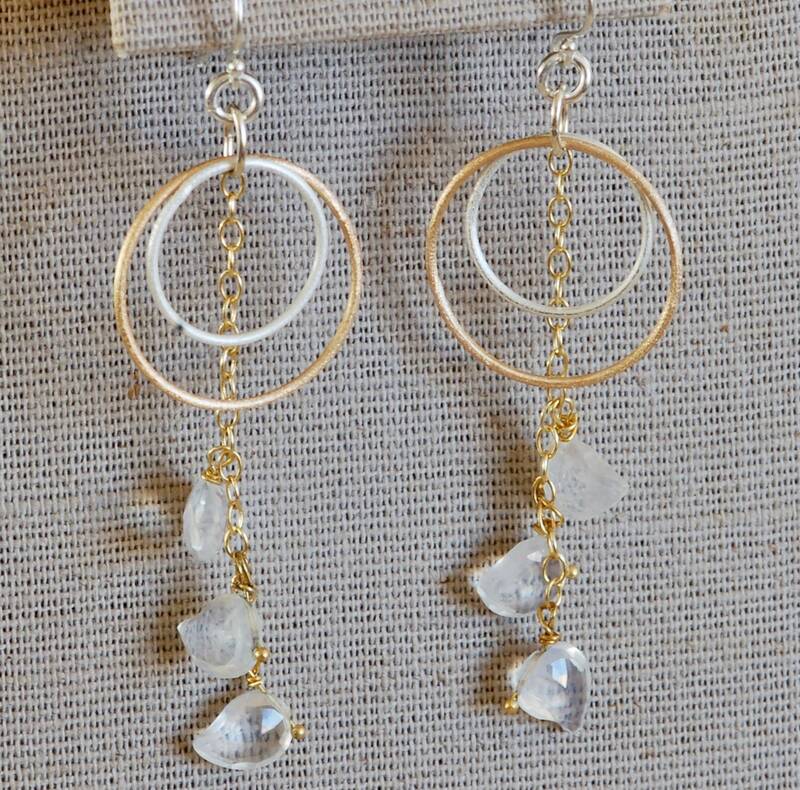 Chic, light weight earrings with mango shaped ice quartz. You can wear these with EVERYTHING! 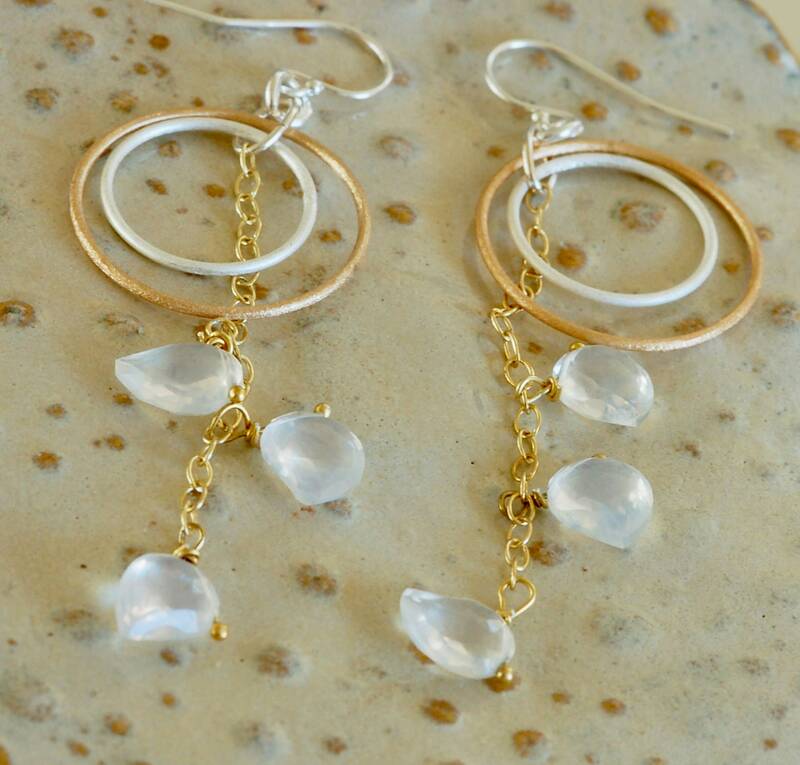 Sterling silver and gold filled circles. 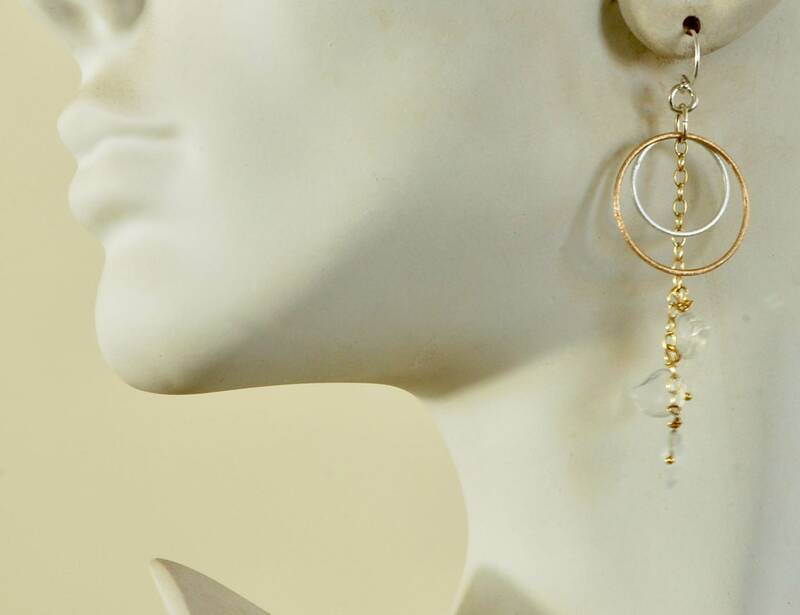 Sterling silver shepherd hook ear wire. Approximately 2 5/8 inches long.